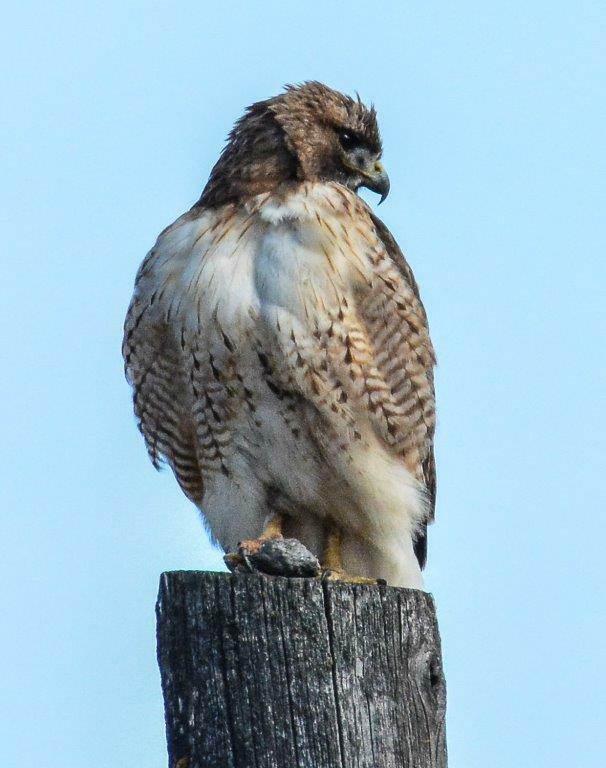 Pictured is a red-tailed hawk, which is one of the many species indigenous to North Idaho and could be spotted during the Spring Birding Fling May 6. Join outdoor educational specialist and field ornithologist Brian Baxter for the “Spring Birding Fling” class Saturday, May 6, at North Idaho College at Sandpoint, located at 102 South Euclid. Register by contacting the NIC Workforce Training Center at (208) 769-3214 or request more information by emailing workforcetraining@nic.edu. The class will meet in the parking lot of NIC at Sandpoint at 9 a.m. on May 6. It will last until about 3 p.m. and the cost is $49. The outing will place an emphasis on spotting and identifying local species -- all levels of birders welcome. “Please come prepared with binoculars, spotting scopes, bird books, cameras, lunch, water, curiosity, and smiles,” Baxter said. Baxter teamed with photographer Don Jones for the cover article in Sandpoint Magazine Winter 2017 entitled “Wings of Winter.” He has degrees in both Forestry and Wildlife Management with more than 40 years of experience working in wildlife fields. Research projects Baxter has been involved with focused on owls, goshawks, wolverines, Canadian lynx, grizzly bears, inland redband trout and North American badgers. Information: NIC Workforce Training Center at (208) 769-3214 or email workforcetraining@nic.edu.